Located near the intersection of W Cleveland Ave and S 108th St, Extra Space Storage serves residents of West Allis and West Milwaukee. Locals will recognize our facility next to Kohl's and Walgreens. With a variety of storage units, climate-controlled storage, drive-up access, and exceptional security, Extra Space Storage on W Cleveland Ave is your self storage partner in West Allis! Our West Ellis storage facility offers units ranging in size from 3x4 to 10x30 with features like first-floor access, drive-up access, and elevator access for your convenience! With advanced security measures like an on-site manager, 24-hour video surveillance, and electronic gate access, you can confidently store valuable items with Extra Space Storage. Protect sensitive items in a climate-controlled unit. This feature maintains temperatures between 55? and 80? at all times, keeping your belongings safe from extreme heat, humidity, and cold. With drive-up access, you can pull a vehicle right up to your storage unit to unload and load large, heavy items. It's the ultimate self storage convenience! Run your business and store commercial inventory, materials, and equipment from the same location! Our W Cleveland Ave storage facility has affordable office space available. Contact our staff to learn more! When you choose Extra Space Storage, you can expect reliable self storage and exceptional service. From our well-maintained, secure, clean facility to our friendly, professional staff, we work hard to ensure you're satisfied with your storage experience. Contact us today to reserve a storage unit in West Allis! Convenient location. Amazingly clean. Great security. Friendly staff. Researched ALOT and this place surpassed my high expectations. I love the ease of the rental process, climate controlled storage units, secure access and limit of hours to access, and the friendly staff. One draw back is having to pay for the lock and only being able to use it again if I rent a unit like this again in the future. Cost of lock was not a big deal, and the fact that it's highly difficult for someone to break the lock to access the unit is more appealing and satisfying puts my worry to rest. It can get creepy being in the facility when other people are inside as well and the exit being a distance from the unit. Safety is a concern for that reason, but the storage facility is in a safer neighborhood. Just doesn't prevent something from happening. That can happen anywhere. Making sure I pay attention to my surroundings and pay attention to who is present and the activity near me is most important (for any situation). I like that you can drive in. Like that carts are available. Great customer service. Very affordable, clean and secure. Would definitely recommend using Extra Space Storage, even if it’s only for a couple of months. Only thing I would like to see change is the access hours. I would like to have access to my stuff 24/7 like pretty much all of storage companies. I had never rented a storage unit before. I had no clue what size I even needed. They showed me several to choose from! Very clean facility! one of the best storage facilities in the Milwaukee area! Clean, very Clean! well lit! Easy to get in and out and in a very nice area! t oo...residential and also behinf Pick anf Save! This is by far the best place I've stored my belongings at! Clean and easy to access with the drive-thru. Friendly management. Good hours. I highly recommend the Easy Space Storage facility on Cleveland Ave. in West Allis, Wisconsin. 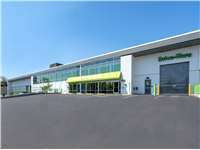 It is clean, bright, and a climate controlled space that you drive into to unload your items! The manager and staff are so helpful!!!! This is a great place to store your items. The staff is friendly and the units are all indoors so no matter the weather you can still access your items. Clean units, secure facility, great personnel, climate controlled units. Would definitely use them again. Convenient location. Start to finish, a very easy and painless process. The staff has been most helpful. Very clean facility. The application process was smooth and simple. Once I started bringing in my stuff I found it to be very easy. I like being able to unload my car indoors, transfer to a cart and then head up to my storage unit. So far i’m very pleased. Staff extremely helpful and quick. Climate controlled and secure. Nice clean space and from what i have seen, cheapest rates in town! Moved from another state, needed storage. Eventually found Extra Space- what a relief: indoor climate controlled storage. No need to worry about mildew, flooding, rodents nor security. Customer service has been great. Drove the 26' moving truck right into the facility and unloaded onto heavy duty carts that are provided. Price wise it's a very good value and the place is very clean. I am very relieved to find this storage facility. The gang at extra space storage has been great. Sold our house and needed to move to a temporary location until our new place is done. Ended up getting 3 units. I love the climate controlled space along with the hours of operation. Wonderful place to use for storing! Clean, friendly, climate control, and secure. Will always recommend this company! Fantastic work. Drive south on S 108th St. Pass W Lincoln Ave and continue south on S 108th St. Turn right onto W Cleveland Ave. Our facility is on your right. Drive north on S 108th St. Pass W Oklahoma Ave and continue north on S 108th St. Turn left onto W Cleveland Ave. Our facility is on your right, beyond Walgreen's. Drive west on W Lincoln Ave. Pass the West Allis Memorial Hospital and continue straight on W Lincoln Ave. Turn left onto S 108th St. Turn right onto W Cleveland Ave. Our facility is on your right. Drive east on W Cleveland Ave. Our facility is on your left, beyond the West Allis Athletic Complex.